This country rancher includes 2 contiguous lots. House parcel 67 (2.2 acres); lot parcel 61 (4.21 acres) & lot parcel 106 (2 acres). Lots are wooded and have never been perced. Home is 2, 871 sq. ft. featuring living room, family room with gas fireplace, kitchen with large center island, gas cooktop, wall oven (convection), granite countertops, tile flooring. Hardwood flooring throughout house. 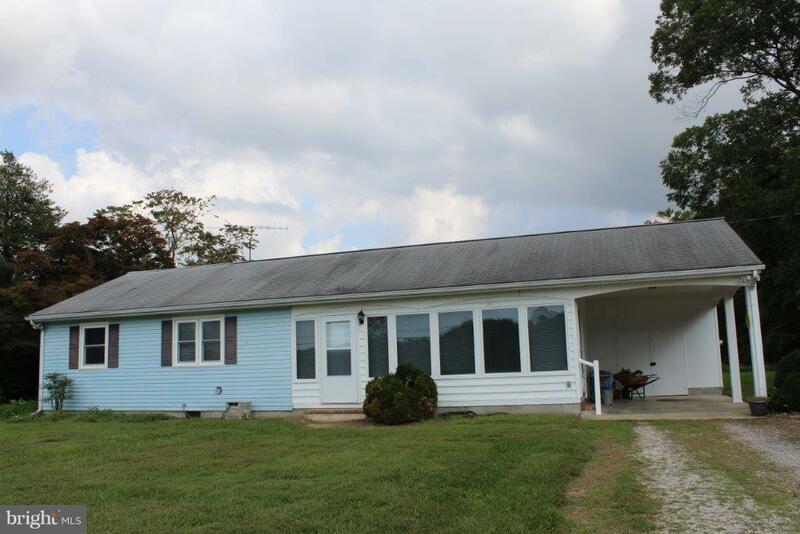 3 bedrooms, 2 full baths, sunroom/porch, large utility room with freezer and washer & dryer. Carport, greenhouse, fenced backyard, Koi pond, shed. Note: Well and septic approx. 20 years old (not original). Directions: From Easton, take Rt. 50E to Trappe, make left at stop light onto Barber Road, keep straight, then make right on Chancellor Point Road, home on left, sign posted.